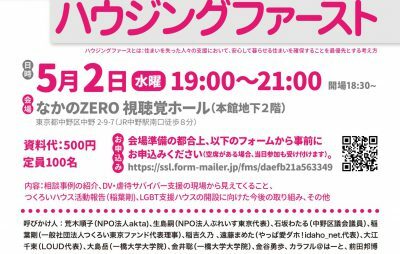 On April 29th, we will be holding an event about transgender archives, history, and education at Hitotsubashi University. 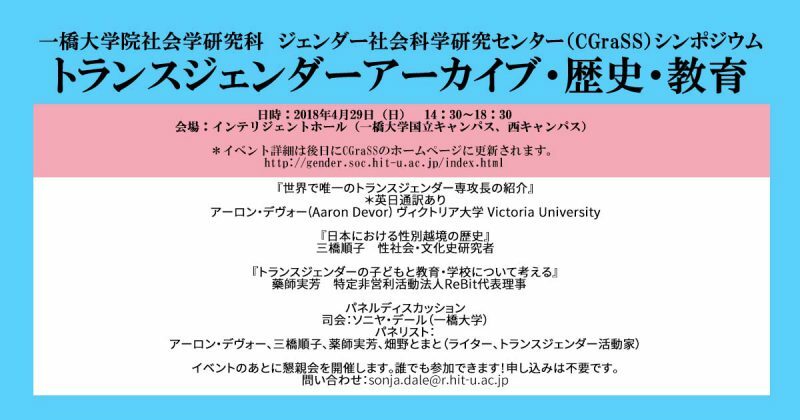 Professor Aaron Devor (Victoria University), the world’s first Chair in Transgender Studies, will be sharing his experiences and discussing the role of the Transgender Chair as well as the world’s first Transgender Archives. 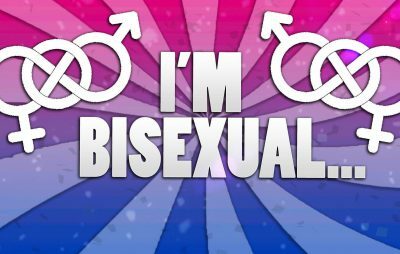 Following his talk we will have presentations by Professor Mitsuhashi Junko (historian) and Yakushi Mika (Re:Bit) about transgender history and education respectively. 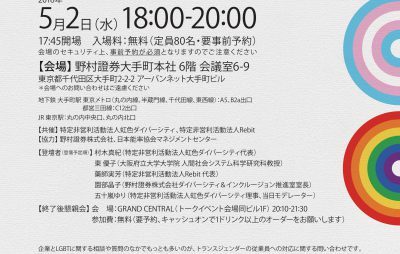 After the presentations we will have a panel discussion featuring activist and writer Hatakeno Tomato. Join us for a day of dialogue about transgender issues. There will be a dinner reception after the event, which all are welcome to join.